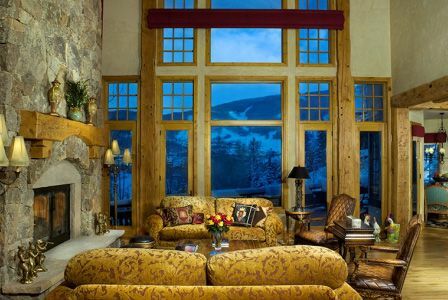 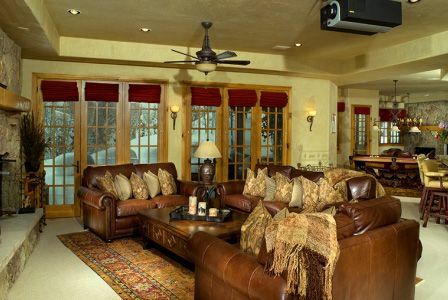 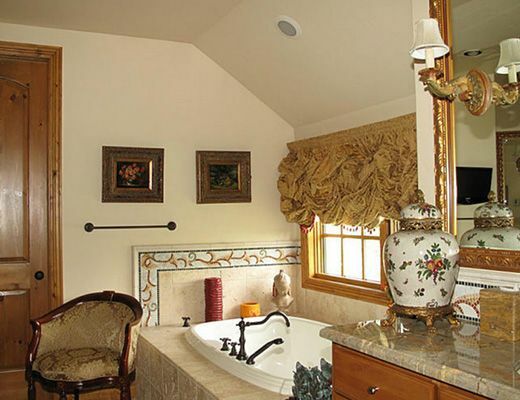 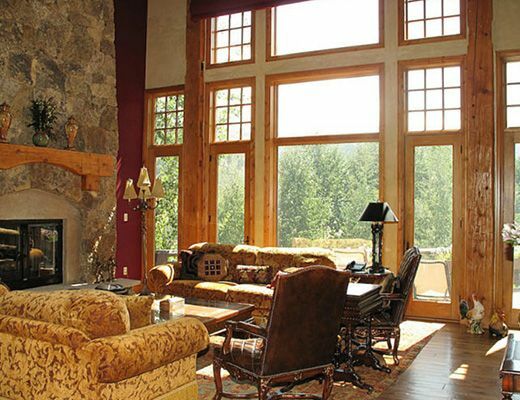 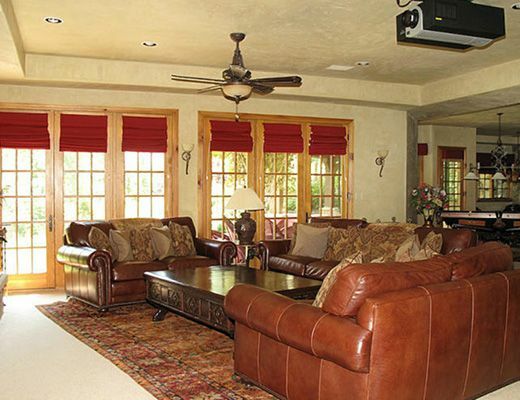 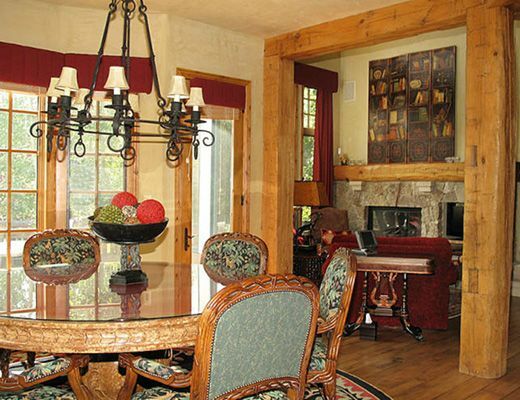 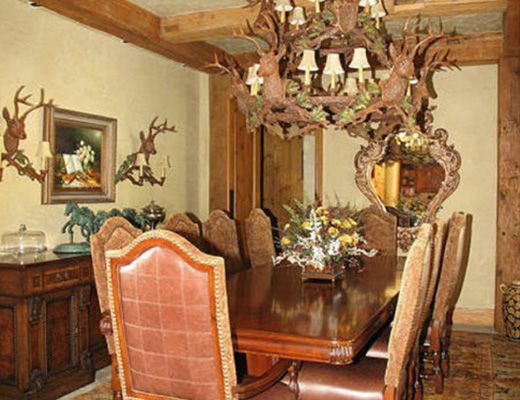 Stay at a large 7 bedroom home in Beaver Creek that defines mountain living at its best! 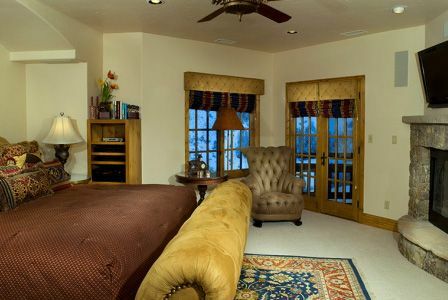 This private mountain home has views to Beaver Creek's ski slopes, expansive decks, a large outdoor hot tub and a stately office. 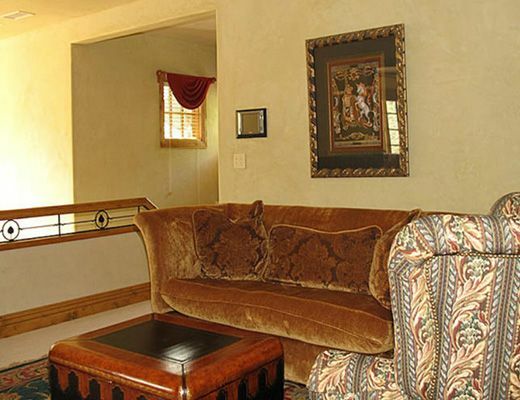 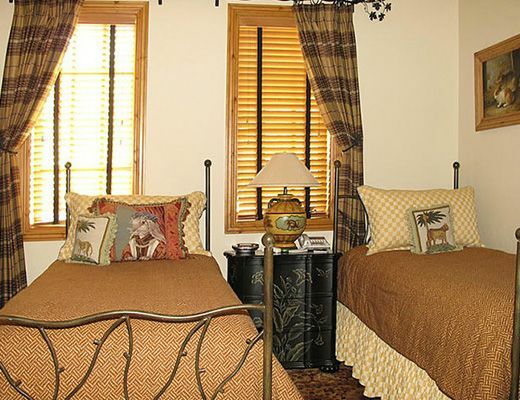 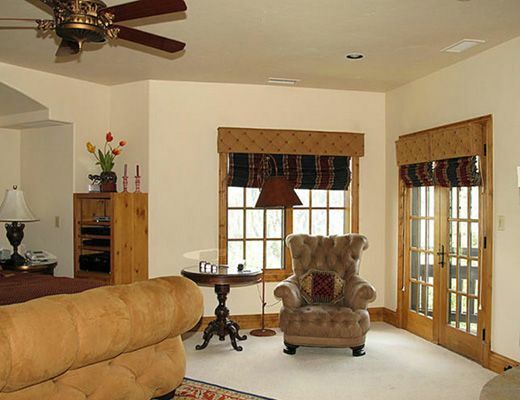 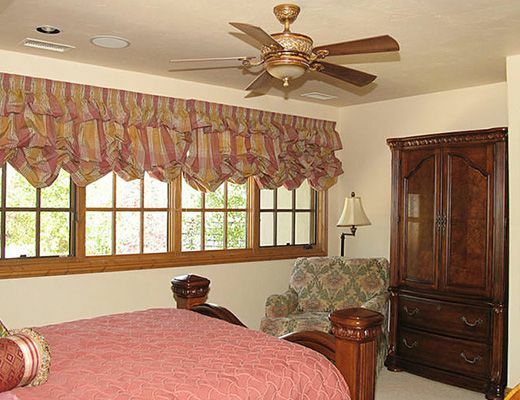 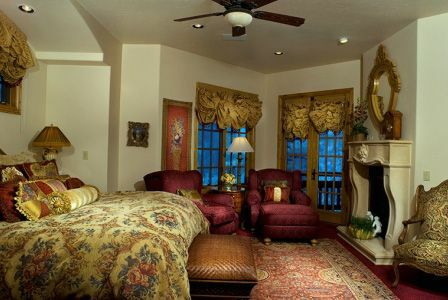 Elegantly furnished in mountain decor, there are 3 living rooms, 2 dining rooms and 2 laundry rooms. 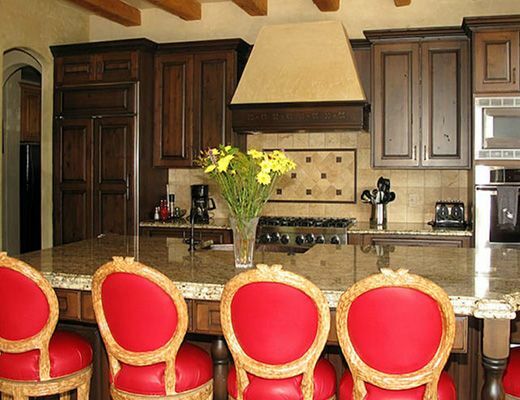 A full gourmet kitchen is supported with a butler's kitchen. 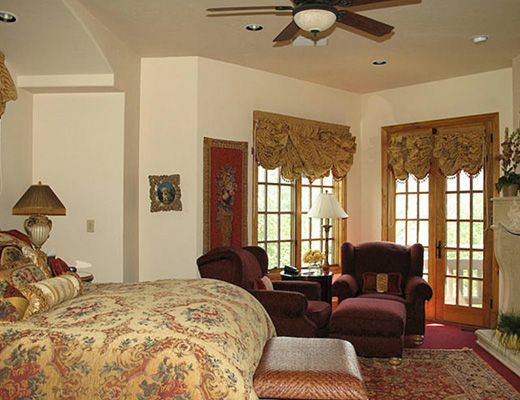 Two impressive master suites feature balconies, gas fireplaces, and sitting rooms. 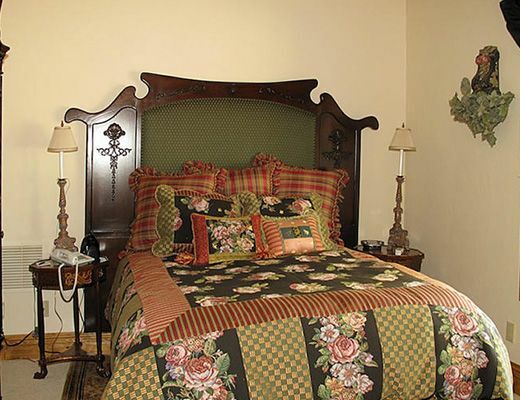 Bedding in the home's seven bedrooms are made up of 2 kings, 4 queens, and 2 twins. 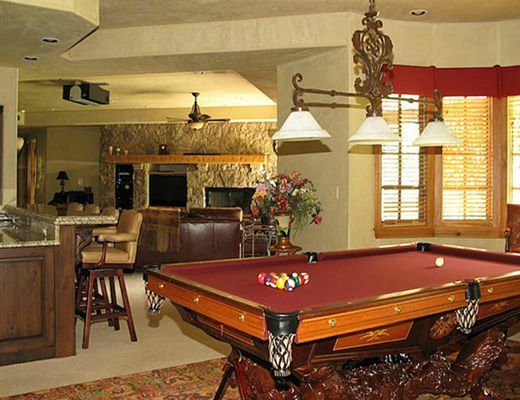 A media room, gaming room and full bar, and a large hot tub are some of the home's other fantastic features.